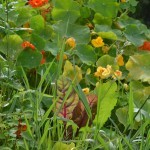 The beans have them, the chives have had them, the weeds have them and the windowbox lettuce is full of them…. do you have them? 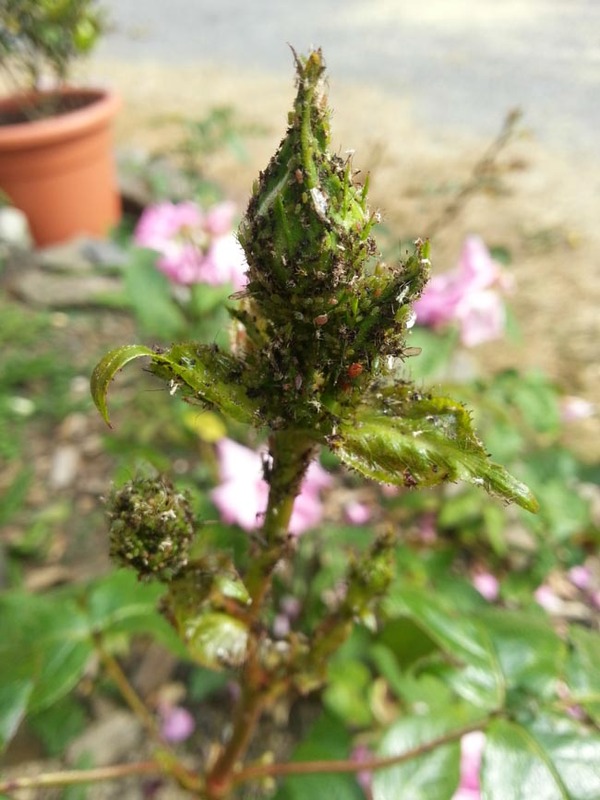 We’re talking aphids, greenfly or blackfly as they’re more commonly known and due to the warm weather there’s been a population explosion in the garden this year! 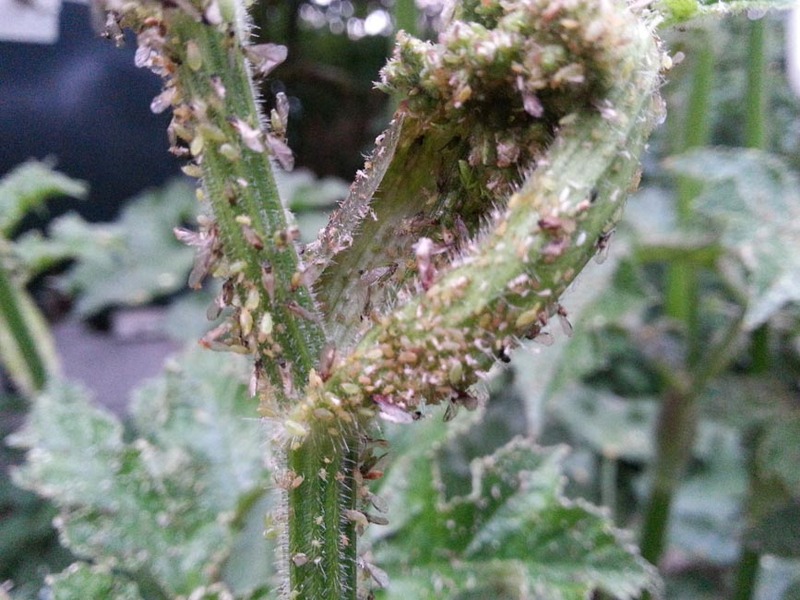 2013 might go down in the record books for high temperatures and fabulous fruit harvests but in many gardens it will also go down as the worse aphid invasion for many years. 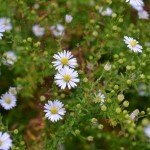 Despite planting lots of companion plants to attract beneficial insects, hoverflies and ladybirds have been very scarce in our own garden this summer. We spotted the first of both only a week ago which is way too late to handle this kind of infestation. In an attempt to control them, during the heatwave I washed the aphids off the roses and broad beans with the hose every other evening, holding the buds in my hand and rubbing the flies between my fingers as I sprayed to ensure that water wasn’t wasted. However, I soon realised that wasn’t enough to stop them reappearing a couple of days later so made a garlic soap spray for the first time in years which was carefully applied to rose buds and bean tops to halt the aphid breeding cycle. I haven’t removed the bean tops just yet which is usually recommended as the seeds were planted late and we need to see a bit more height in the plants before we halt their growth. Any day now I’ll be nipping the tops off and feeding them to our pigs! 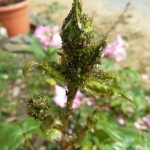 In the meantime the recent rain will help to control the aphid infestation. Dealing with aphids and greenfly without chemicals is more labour intensive than the chemical alternative but it can be done. If you’d like to know more about their rapid breeding cycle take a look at an old Wednesday Wiggler blog post here. 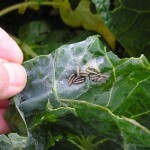 There’s also a blog post written here about mealy cabbage aphids you might like to check out. 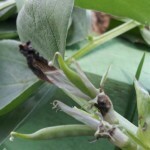 Have you noticed a particularly troublesome bug this summer?